The story has no analysis or commentary tag, so presumably it’s a news story. It carries the byline of David E. Sanger, who has written for The Times for more than a quarter of a century and serves as the paper’s chief Washington, D.C., correspondent. He’s a foreign policy and nuclear deproliferation expert, which I am not. He’s a member of two Pulitzer-winning teams at The Times, an exceptional historian, and a damn good writer. But that doesn’t leave him immune from criticism. It’s irritating that this piece carries only one — that’s one — named source. He expects his readers to swallow a steady diet of anonymice. Worse, Sanger provides no reason for withholding their names. That’s a disservice to readers, who have no way of assessing those grants of anonymity. And Times reporters do this frustratingly, irritatingly often. 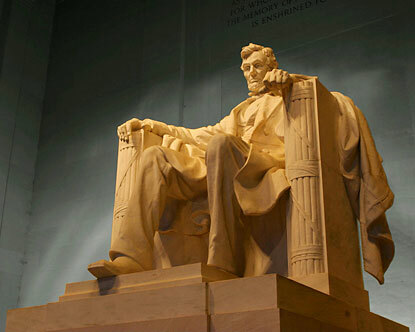 Lincoln today: The people don’t count any more? On November 19, 1863, as President Lincoln stood to deliver the dedication of the Soldiers’ National Cemetery in Gettysburg, Pennsylvania, he could not have foreseen how the nation he envisioned as the home of “a new birth of freedom” could become an intolerable refutation of much of what he said that sad day. President Lincoln could not have imagined, at least on a 21st Century scale, how the enterprise of government would become precisely that – a business enterprise riddled with corruption brought on by the enticements of money primarily intended to lubricate the interests of the powerful who wish to remain that way. I’m not alone. Paterson wants to hang on to about $500 million in tax refunds due the state’s citizens. It’s an accounting dodge brought on largely by the political failure of the governor and the state Legislature to balance the budget. By law, the state cannot run a budget year in the red. So, rather than face the realities of a $1.4 billion budget deficit, New York’s incompetent, selfish leaders do what they always do — punt, in this case, until next year. That half billion will be rolled out of fiscal 2009 and into fiscal 2010. Out of sight, out of mind. That’s New York’s insanely inept government: Never deal with reality. Maybe, state officials promise, I’ll see my $13 in April, two and a half months from now. Well, I’d rather be the one collecting the interest on that $13 over that time rather than the state. Sheesh. Of course, New York’s financial woes aren’t that simple, and it’s not always (but mostly?) Albany’s fault. Recession + people out of work = higher costs + lower tax revenues + increased fees + fewer services. And New York’s not alone. One estimate puts the total fiscal 2010 budget deficit of all states at nearly $150 billion. Will Mort join Mike and Meg in billionaire politics? John Kerry, a Massachusetts Democrat, is the richest member of the club known as the United States Senate with a personal fortune estimated at $167 million. But if Mortimer B. Zuckerman has his way, Kerry will be number two — by many, many hundreds of millions of dollars. In fact, if New York real-estate mogul and media kingpin Zuckerman becomes a U.S. senator, his own wealth would be almost four times the 2008 net worth of all U.S. senators — about $650 million. Zuckerman, who owns The New York Daily News and U.S. News & World Report, is worth about $2 billion, according to The New York Times. And in a story Friday based largely on “two people told of the discussions,” The Times says Zuckerman is considering taking on lightweight Democrat Kirsten E. Gillibrand, current occupant of that Senate seat. A former Tennessee congressman, Harold E. Ford Jr., is also taking aim at Gillibrand. So — does the U.S. Senate need a 72-year-old billionaire driving up the age of an already elderly Senate? The Congressional Research Service reports that the average age of senators, a little more than 63 years old, at the beginning of 2009 was among the highest ever. Snow job: sick nasty shreddin’ at Times’ website? Huh? “How dare The Times stoop to such pandering to an unseemly demographic,” I harrumphed. Snowboard tricks? In The Times? How could my principal source of serious news by serious people about serious issues and events sink to pandering to the fans of fakie? This is unthinkable. Beginning Feb. 12, The Times will open a website to host these videos. But why on earth (or snow) would The Times want snowboard videos? I mean, gee whiz, this could amount to amateur night among the heathens. The Times does things right — you know, professionally done photography, video, graphics and other illustrations. What gives with wanting videos likely to be of goofy-footers eatin’ snow?